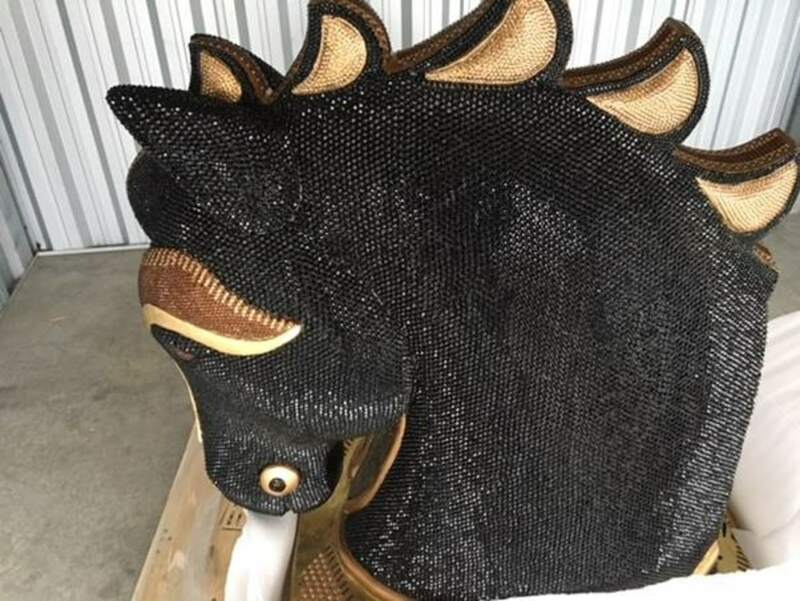 New Zealand’s largest cocaine haul ever was uncovered in an unusual place: inside an 881-pound diamante-encrusted horse. 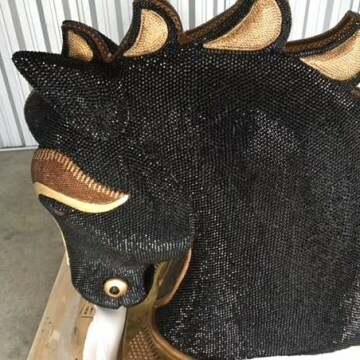 Authorities in New Zealand said Saturday that contained within the sculpture’s glittery head, which arrived from Mexico in May, were 35 bricks of high-grade cocaine worth nearly $11 million U.S..
Two unidentified men — a 56-year-old U.S. national and a 44-year-old Mexican national —were arrested Friday night at Auckland International Airport, police said in a statement. Additional search warrants were being executed in Christchurch, the statement said, and Sunday, police released surveillance video of a man “with a Spanish-sounding accent” who may be connected to the operation. Detective Sgt. Colin Parmenter said the amount of cocaine seized in a typical year in New Zealand is 250 grams, or about half a pound — a statistic crushed by the sculpture.